SEOUL - The South Korean government said in a report Wednesday that it failed to gather adequately the opinions of former “comfort women,” who were forced to work in Japanese military brothels before and during World War II, before reaching a deal with Japan in 2015 intended to address the issue. In Tokyo, Foreign Minister Taro Kono said in a statement that he saw no problem with the process leading to the accord and called anew on Seoul to steadily implement it. 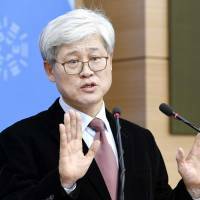 The report, compiled by a South Korean government task force reviewing the two-year-old agreement reached under the last administration, also details a previously undisclosed request by Japan that the South Korean government persuade victims’ support groups — which were likely to oppose the deal — to accept it. South Korean representatives apparently all but accepted the request. “A victim-oriented approach, which has been accepted as a norm of the international community for human rights of wartime women, has not been fully reflected (in the deal),” said Oh Tae-gyu, who headed the task force, at a news conference. The government of President Moon Jae-in, inaugurated in May, launched the task force in July to review the process that led to the deal, arguing that the majority of the South Korean public do not approve of it. Even though the task force issued the report, it contained no policy recommendations, and the government is likely to postpone making any policy decision until after the Pyeongchang Winter Olympics that open in South Korea in February. 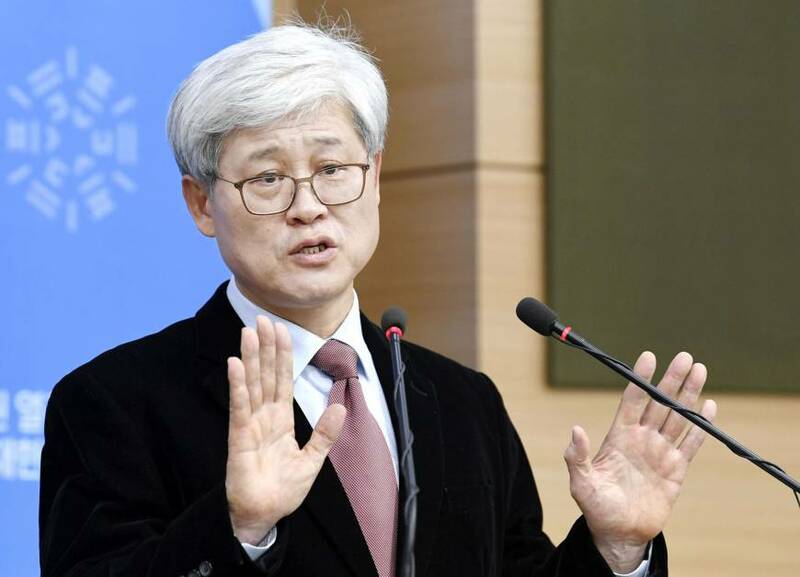 Kang said the government’s final policy on the issue will be decided after hearing the perspectives of the victims, their support groups and experts. “In addition, the government will carefully consider the impact (the issue) would have on relations with Japan in making the final decision on the ‘comfort women’ agreement,” she added. The deal, negotiated under the government of Moon’s impeached predecessor, Park Geun-hye, was announced in Seoul by the foreign ministers of the two countries on Dec. 28, 2015. In the deal, the two countries agreed to resolve the thorny decades-old issue “finally and irreversibly.” Japan proceeded to provide ¥1 billion (about $8.8 million) to a South Korean fund last year to help the victims and their families. While being hailed as a landmark deal at the time, the accord proved controversial among the victims and the South Korean public who feel the victims’ voices were ignored and that Japan’s fresh apology over the issue was inadequate. The task force led by Oh, a former editorial writer for South Korea’s Hankyoreh newspaper, found that the deal had not been negotiated through regular diplomatic channels between the two countries. The negotiations primarily took place between Shotaro Yachi, head of the secretariat of Japan’s National Security Council, and an aide to the then South Korean president, according to the report. The report concluded that the deal was reached mainly from the standpoint of the Park government, which put an emphasis on improving ties with Japan. Japan seeks the removal of the symbolic statue near its embassy in Seoul and another later erected close to its consulate in Busan. But it has made little progress as the issue remains highly sensitive in South Korea. The Moon government has invited Abe to the opening ceremony of the Winter Olympics on Feb. 9.